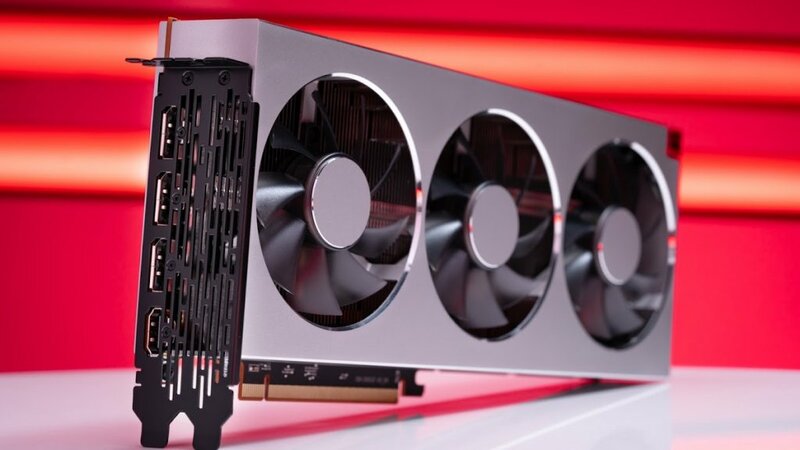 Like us here in Newegg Studios, you might have been excited about the release of AMD’s new Radeon VII GPU. Also like us, you might have been surprised by how quickly the stock disappeared. 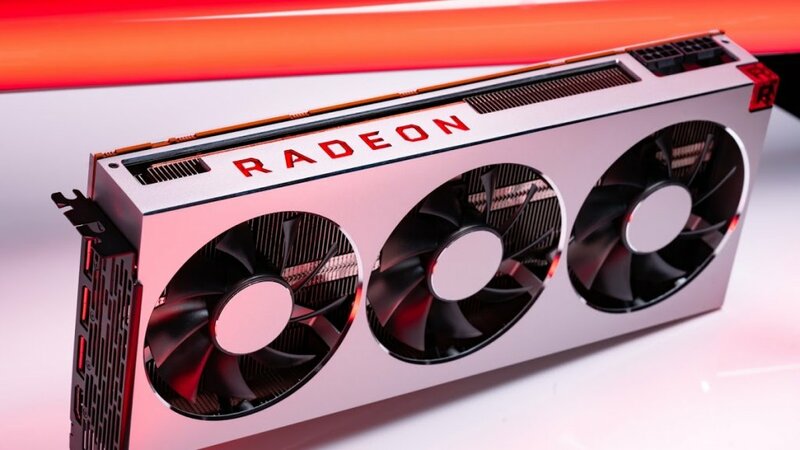 At least our our photographers got some camera time with a Powercolor Radeon VII, so we can share some pretty pictures. 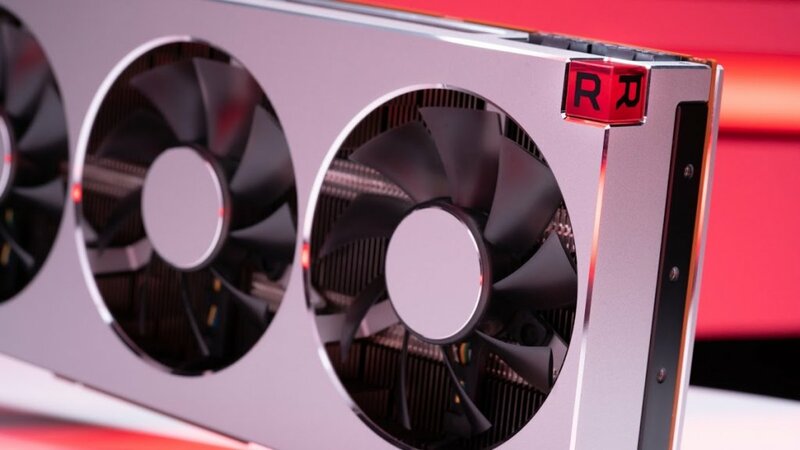 Regardless, the Radeon VII has some novel technologies and features that are worth talking about, and if you were saving your change for a new GPU, we have some alternative suggestions that’ll help you get your high-fidelity fix. 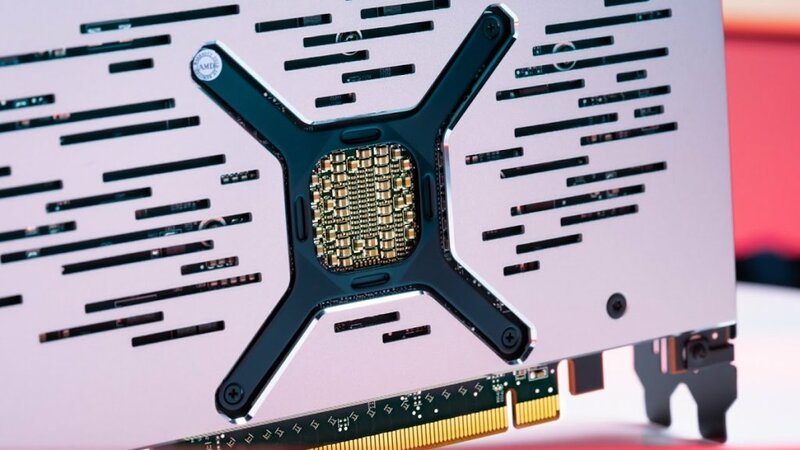 What makes the Radeon VII so interesting is all the cutting-edge technology packed onto the PCB. Most importantly, this is the first consumer-market GPU that uses 7nm fabrication process. Obviously 7nm as a whole isn’t new, as the process is already been in use on mobile products, and is also utilized in other AMD products meant for commercial or academic data compute applications, as well as in some of Apple’s Macbooks. But again, in the desktop PC space the AMD VII is a front runner. The advantages of the 7nm process are simple: The smaller your fabrication process is, the more transistors you can fit into a processor die of a given size. More transistors in your processor die means more compute power, and more computer power equates to more speed and better performance. What does video memory actually do? Paired with that 7nm GPU core is 16GB of HBM2 VRAM, which is the most video memory of any GPU in this sector. It even beats out the GeForce RTX 2080Ti for sheer VRAM amount (though keep in mind VRAM isn’t everything). HBM2 stands for “High Bandwidth Memory version 2” and its main advantage is, well, it’s high bandwidth. The Radeon VII has a total memory bandwidth of 1 TB/s, or 1025GB/s. 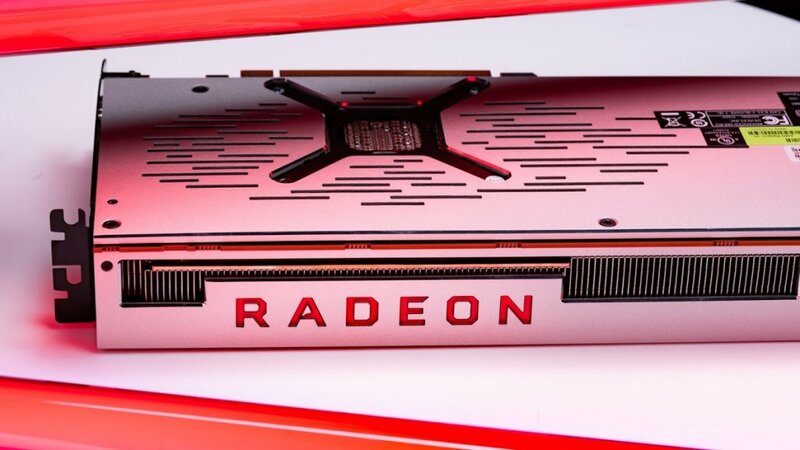 This means that the Radeon VII is theoretically capable of completely loading and unloading all of its 16GB or VRAM roughly 64 times a second (with 32 full loads, 32 full unloads). That’s some fast memory. Compare that to the 616GB/s GDDR6 memory used on the GeForce RTX 2080 Ti, or the 484GB/s GDDR5X on the GTX 1080 Ti, and you start to get a picture of the massive leap forward that HBM2 offers. So with all that advanced tech, the Radeon VII should be a shoe in for best gamer GPU on the market, no? Well, that’s not exactly how it’s working out in practice. In-depth benchmarks from places like Tom’s Hardware and Tech Powerup have shown that all this radically improved circuitry doesn’t always offer radically improved performance, in real-world settings. It does some things a little bit better than the competition, and it does other things a little bit worse. It’s a competent GPU, but it’s not going to upend the graphics landscape as some AMD fans were hoping for. But at this point, does the performance of the this GPU even matter? The Newegg.com store sold out of every single Radeon VII for every manufacturer before most of us were awake the day it launched. So if you wanted one, but missed out, what should you be looking at instead? 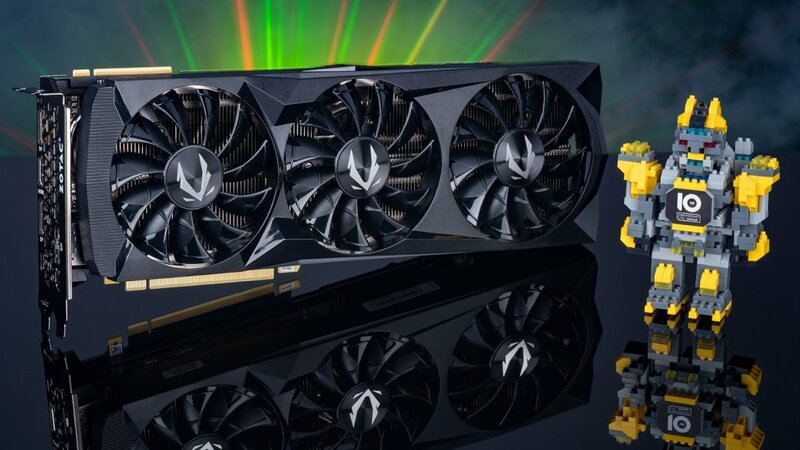 The obvious answer is an Nvidia Geforce RTX 2080, which came to market a few months earlier at a price tag of about $700, with an extra 40-100 bucks tacked on depending on exact model, manufacturer, and retailer. While we have yet to be blown away by Nvidia’s ray-tracing implementation, the future is bright for DXR, which isn’t a feature that the Radeon VII offered anyway. Seeing as the Radeon VII is coincidentally also around $700, it seems pretty clear they were aiming at the same set of buyers. 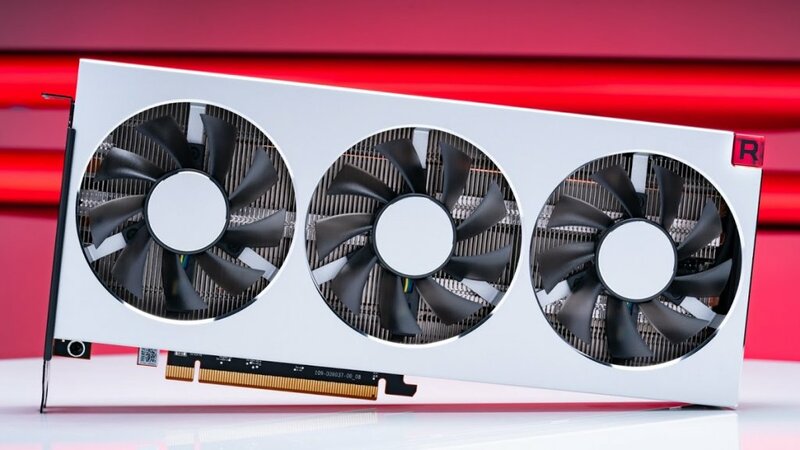 Now, if you already budgeted for a Radeon VII but wouldn’t mind saving a little cash anyway, there are plenty of excellent solutions out there based on the RTX 2070 or RTX 2060 platforms as well. And of course, if you’re an AMD die-hard, the proven Radeon Vega 64 isn’t going anywhere, and still offers an outstanding price-to-performance ratio. What Does the Radeon VII mean for the Radeon VIII? It was an open secret of sorts that the Radeon VII was going to be subject to an extremely limited run. The whole of Europe got an allocation in the low hundreds, with some countries getting less than 50 cards total. So why might have AMD produced such low numbers of what could have been a flagship card? Well, boy oh boy do I have some totally baseless speculation there! The answer might be a combination of a few factors, most of which involve AMD testing the waters. First off, remember that the Radeon VII is based off of new technology, and innovative implementations of existing technology. It could very well be that their numbers people wanted to see how well consumer GPUs based on this technology would sell, especially in a market that’s already had some rocky launches in the last 12 months. Also keep in mind that this is a new price point from AMD’s perspective, since they’ve always done well as the more budget-friendly option compared to their main competitors. Releasing a GPU at the same MSRP as their main rival is new territory for Team Red, and they very likely wanted to see how the market would react to that. Through that lens, every single Radeon VII flying off the shelves immediately might be a good thing. It could serve as the justification for another round of Radeon VIIs, or a ramp-up in production for whenever AMD gets around to a potential Radeon VIII. Obviously the market wants 7NM cores, it wants gigantic amounts of high-bandwidth VRAM, it’s willing to pay top dollar for those things, and AMD is set to deliver. In light of all that, I’ll be on the lookout for an exciting new developments from AMD. For the consumer-gamer that is trying to buy and use the card it’s a big, fat joke. Up against the crypto-mining disease to get one of these cards it will leave a sour taste in the usually loyal AMD fans and likely turn off these folks. Too bad for AMD to test their theories on their highly loyal and excited enthusiasts, gamer and tech hungry crowd.